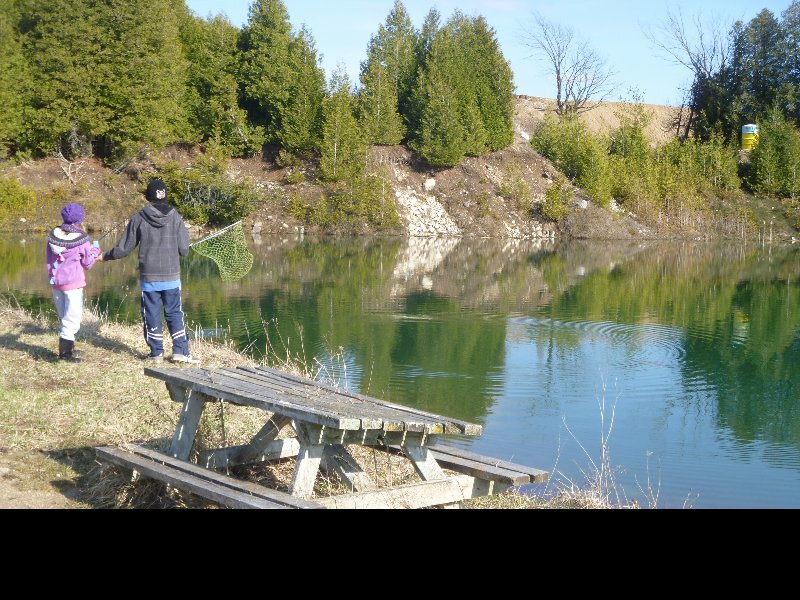 Ontario Fishing & Trout Ponds is located 1 KM. north of the town of Durham, on the west side of the road. Fire# sign 313706. Look for the PUBLIC FISHING SIGN. This facility welcomes both bait and fly-fisherman. 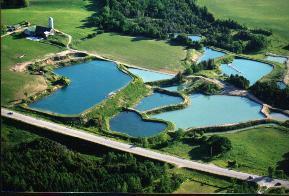 Separate ponds for each type of fishing. Ponds stocked with naturally-fed brook, brown and rainbow trout, as well as a separate pond for large-mouth bass.Rainbow trout stocked regularly, brook and brown when available. 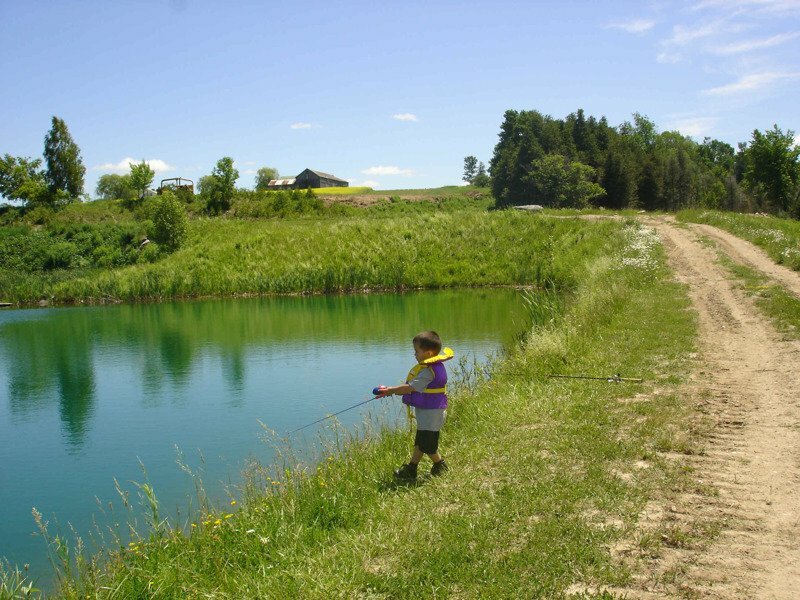 This is a family facility aimed at providing a fun filled fishing day for everyone. 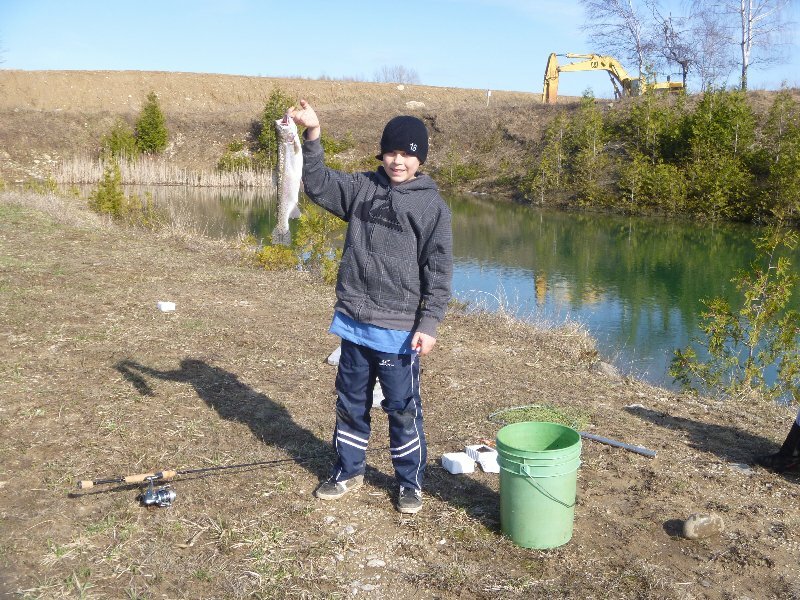 Open April through September to the public for trout pond fishing.